In our 15-month ZF Global Trainee Program, you will become acquainted with work at ZF, rise to the challenges of a daily work routine, and apply the knowledge gained during your studies to successfully complete international projects. With our ZF Global Trainee Program, we prepare you for your job at ZF. You will become acquainted with our company at various domestic and international locations, independently complete projects, and assume responsibility in teams. Your colleagues will always be available to support and guide you. As a result of your involvement in different departments you will obtain cross-functional knowledge which enables you to establish a contact network throughout the entire ZF Group. Via various workshops and trainings on presentation techniques, project management and intercultural communication we will provide you with important first-hand knowledge and skills for your job. ZF offers permanent employment to all trainees who successfully complete the trainee program. If you want to know more about the life as a ZF Trainee, here you are at the right place. The current batch of trainees will share their experience during the 15 month program and will give you insights on their professional and personal experience. The 15-month Trainee Program begins each year in July and October. You can apply for the following tracks of the Trainee Program. The Automotive Innovation & Digitalization Trainee completes his/her project in various departments. You have the chance to explore topics such as Artificial Intelligence, E-Mobility, Safety, Digitalization, Connectivity or Autonomous Driving. At the end of the program you choose the area that offers the best career opportunities. The Finance, Material Management Trainee respectively Human Resources Trainee rotates through various departments of his/her technical area of expertise and thus prepare specifically for the department hired for. During your assignment as a trainee, you will participate in four projects, each carried out at a different location - including one international location. The projects will run for three to four months each; the first project will be specified by ZF, based on your studies. After that, you take over responsibility: You establish contact with the other departments, whose work you are interested in, and independently organize your schedule at the various locations. You will also be involved in a joint project with the other trainees of your group, which will run for the duration of the program, and which may be subsequently presented to the Board of Management, ZF Group. The Trainee Program is primarily directed at graduates and above average grades. You should have a Master‘s or Bachelor‘s degree in a technical or commercial course of study and be able to present documentation of relevant research papers or practical applicable experiences through internships. As one of the world‘s largest systems supplier ZF combines all relevant key technologies for the mega trends Safety, Autonomous Driving, Efficiency and E-Mobility and is ideally prepared for the automotive future. You should be interested in these areas. Our ZF Global Trainee Program has an international focus and only accepts applicants who have gathered international experience in form of an internship, semester abroad or similar within the scope of their studies. In addition, our group is composed of international trainees. We recruit trainees from various ZF locations/regions worldwide. They receive the opportunity to cooperate on different projects and create networks across locations. Very good English language skills are a basic requirement for acceptance to our program, good German language skills are an asset. The knowledge of additional foreign languages is an advantage. Our Trainees are considered potential future managers by the ZF Group. Management positions require strong personalities. 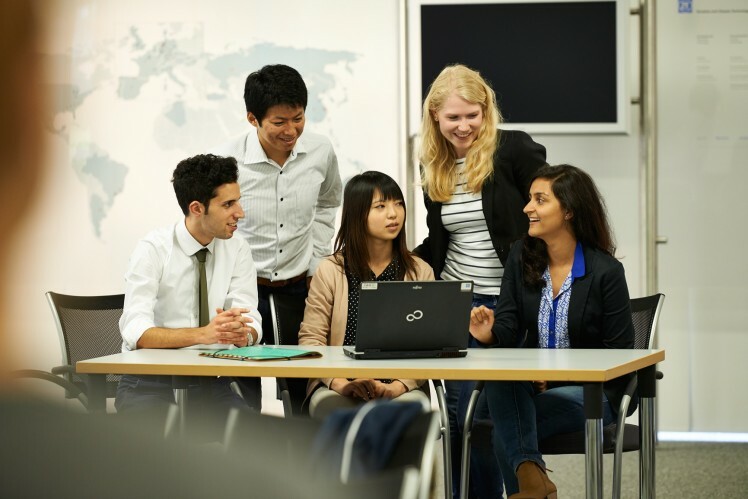 For our ZF Global Trainee Program, we recruit trainees from different countries. Please refer to the list below for more information on the application period in the respective regions. We will conduct telephone interviews after a preliminary selection. Applicants who are on the shortlist will then be invited to an Assessment Center, which will take place at different dates in the respective region.